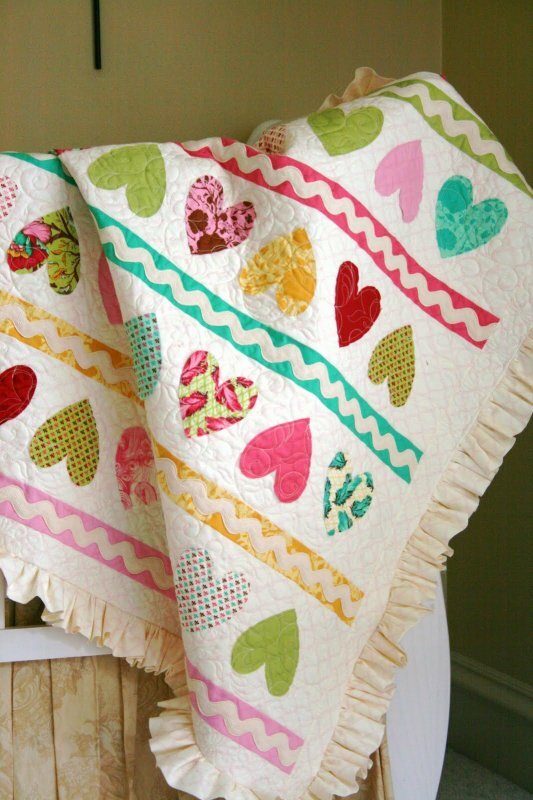 What a charming and precious quilt! This design will serve equally well as a baby quilt, a Valentine's project, or a throw quilt for some lucky girl! Lovingly crafted and created by Amber Johnson of A Little Bit Biased for the Moda Bakeshop, this quilt tutorial is easy to follow and good for quilters who have a few projects under their belts. Enjoy!